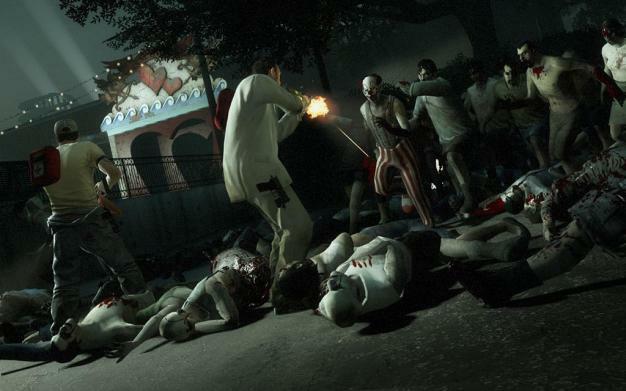 Valve isn’t slowing down on updating Left 4 Dead 2 as the zombie shooting sequel has received a new mutation this week. Entitled Follow the Lifer, the mutation is a slight spin on Scavenge mode where instead of having multiple groups of gas cans scattered throughout a map, only one group of gas cans will appear leaving the survivors enough incentive to stick together and fill up the generator. The catch? The special infected players know where these gas cans are as well. Valve is also almost ready to announce when Realism Versus will become a permanent mode. Based on a poll conducted by Valve a few weeks ago, the company asked Left 4 Dead 2 players if they’d like to see the mutation become a permanent mode. 68% of those who answered the poll said “Yes.” As a result, Valve will answer the majority’s calling and post further details about the mode’s integration next week. For now, Valve is asking players why they rage quit. While they’re able to get hard data on rage quitting, they’d like to hear the motivation behind it.